The articles in this section are focused upon new products that have been the object of recent clinical study. 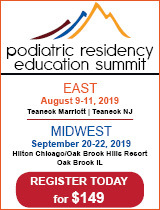 Though PM does not in any way endorse any particular products, we are committed to presenting the most up-to-date clinical innovations to the podiatric community. This new approach to health aims to improve both clinical and financial outcomes across measurable cohorts. There are a host of both clinical and financial benefits offered by this innovative technology. It’s an ultraportable, mechanically-powered disposable NPWT. With the right brace and shoe, the DPM can play a significant role in fall risk management. Three common pathologies are addressed via this patient-friendly technology. When compared to other surgical treatment options, the benefits far outweigh any potential risks. This three-in-one formula is available exclusively in physician practices. Back Pain While in a Boot? Has Chronic Plantar Fasciitis Met Its Match? Injectable human umbilical cord and amniotic membrane matrix delivers promising results. Clinical study data for trephine technology looks promising. The Nonthermal Lunula Laser offers painless, safe treatment for toenail fungus.